Kim Gatenby Acupuncture is committed to bringing you the finest in care, with a blend of traditional Chinese medicine concepts and modern knowledge. Kim has a particular interest in working with patients with fertility issues, and is currently undertaking a Master of Reproductive Medicine at the University of New South Wales to further her studies in allopathic medicine relating to fertility. Kim’s approach is both caring and supportive, and she aims to guide you through the challenges of infertility and support you whether you want to conceive naturally or with the help of IVF. Skype and in-person fertility consultations can be booked online. 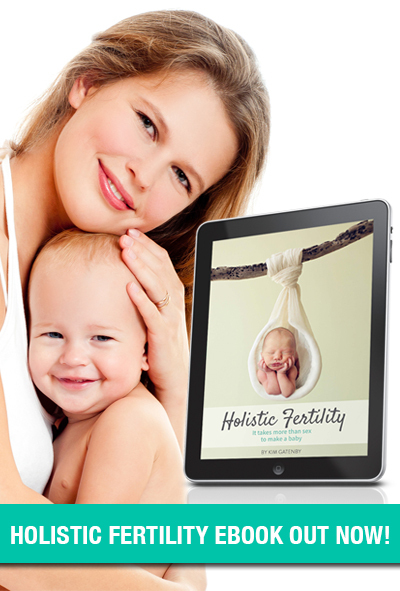 You may also like to check out Kim’s eBook, Holistic Fertility, or the blog posts relating to fertility, where Kim can share her experience in the field with you. Review of Chinese herbal medicine for female infertility. 2015.